In this article, We will learn how we can customize JSON Serialize and Deserialize in spring boot application. 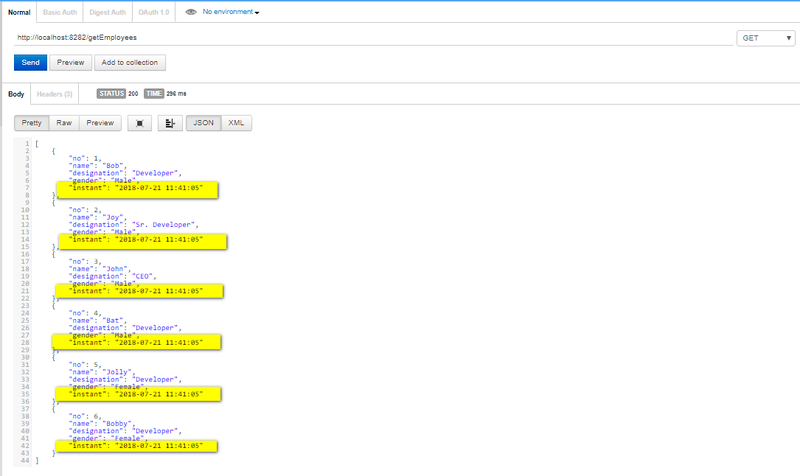 @JsonComponent is annotation using that we can customize the JSON request or response. Spring boot internally used Jackson library for Object to JSON conversion. Here is “instant” is not readable as a date. We should send date to readable format. But Jackson is not providing support for all the type of object because generally it will be very based on requirements. No any other extra dependency is required because Jackson is part of spring boot. Here is @Bean Module code is commented, It optional. If we do not write @JsonComponent at serialize and deserialize class then requires to register as module. Here we have defined two static class for serializing and deserializing which extends JsonSerializer and JsonDeserializer respectively. JsonSerializer has an override serialize() method where we can write our custom code for serialize. JsonDeserializer has an override deserialize() method where we can write our custom code for serialize. 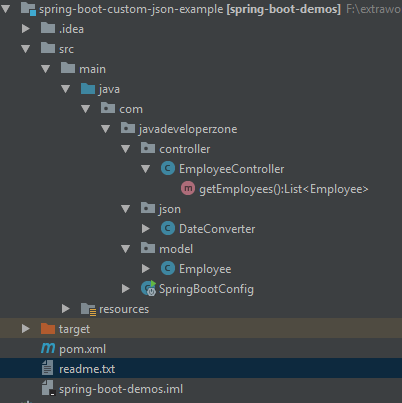 In this article, we learned about Spring boot custom JSON Serialize – Deserialize Example or we can say @JsonComponent Example with spring boot application.